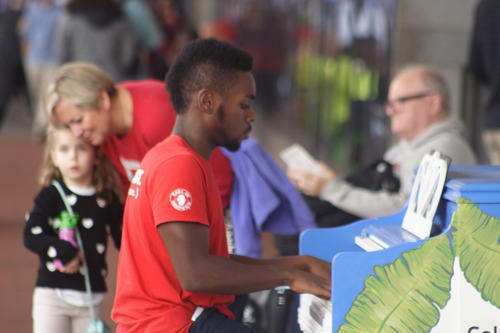 A great day to find and play pianos today. 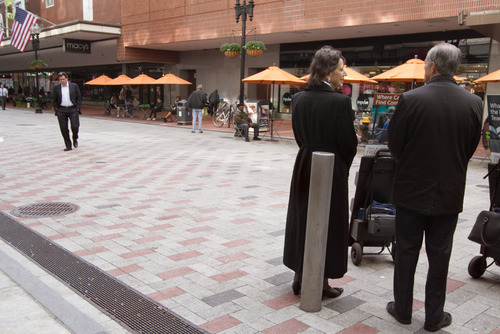 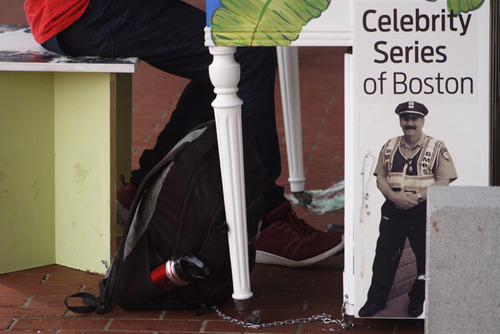 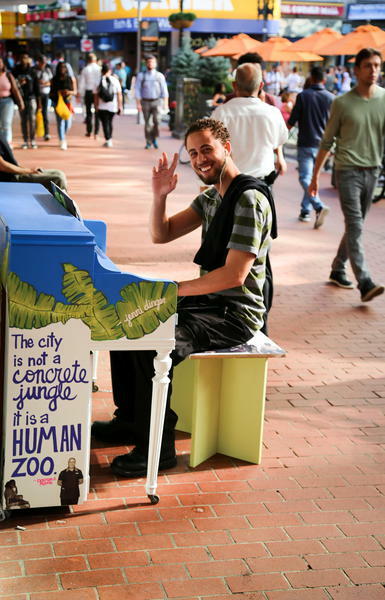 Casual conversations by a Street Piano happen spontaneously. 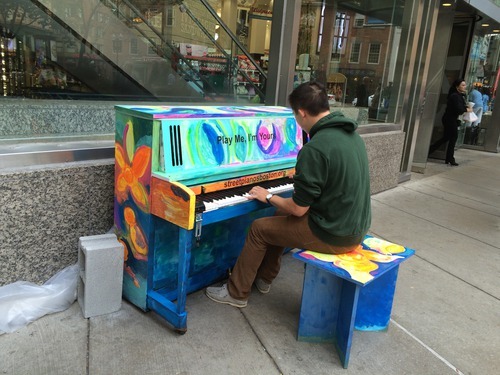 Looking around Downtown Crossing, I am trying to locate Jenni's beautiful piano. 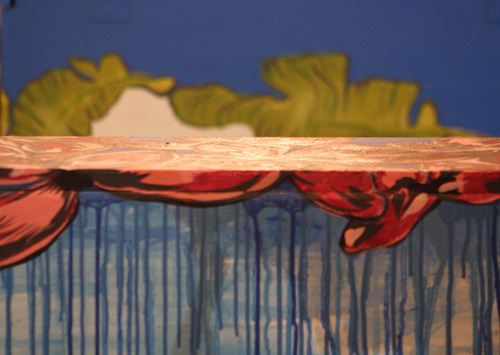 There it is, leaning against Macy's wall. 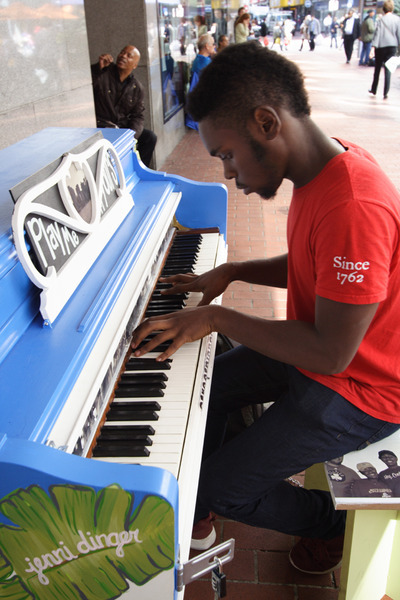 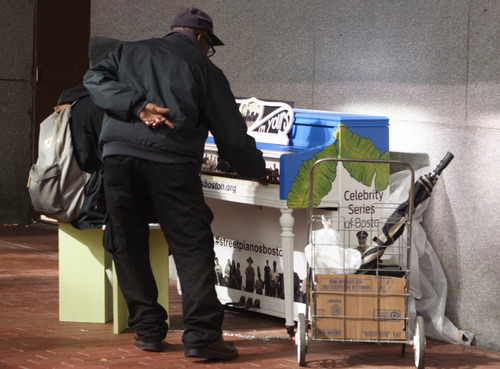 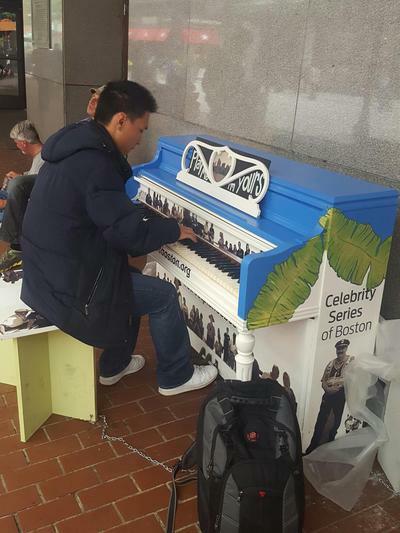 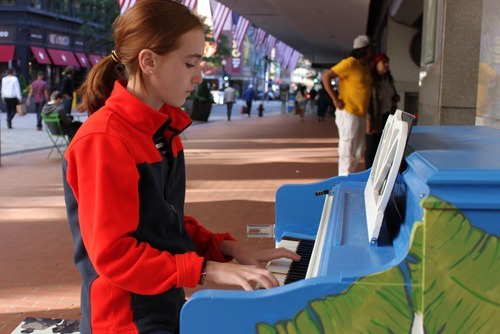 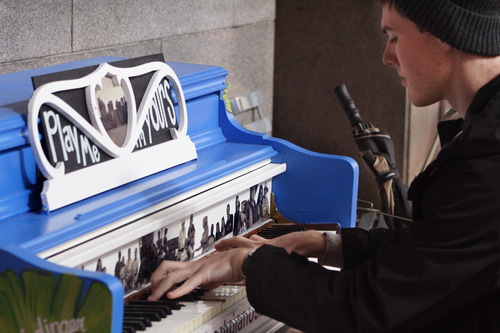 Thanks to Boston BID for hosting this piano in Downtown Crossing!